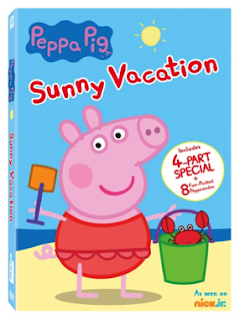 A couple of weeks ago I shared a post about the new Peppa Pig: Sunny Vacation DVD which is now available to own on DVD. My girls were so excited about this DVD and couldn't wait for it to be released. But, I had a special treat in store for them. 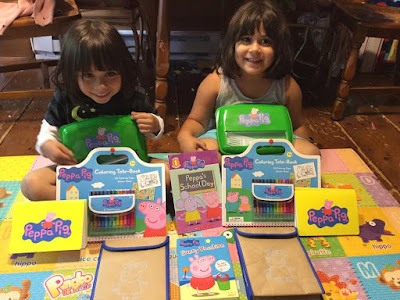 As a Peppa Pig Parent, I was sent not only this new DVD to review, but a fun Sunny Vacation Peppa Pack. The box was filled to the brim with goodies that I would share with my girls and two of their their friends as they say goodbye to summer and get ready to head back to school. Even though I homeschool my girls, the still have friends who attend public school. So, I like to do a fun back-to-school party for them and their friends as a way to enjoy quality time before they see less of their friends who will be in school all day. I wish I had my camera handy when the girls saw the Peppa Pig box arrive at the door. At first, I totally forget it was coming that day and just told the girls to open the box. When I heard the squeals of excitement, I quickly remembered what was in the box and had to take a peak for myself. "Peppa and her family are making a big splash and having fun in the sun in the newest Peppa Pig DVD from Entertainment One and Twentieth Century Fox Home Entertainment, Peppa Pig: Sunny Vacation! 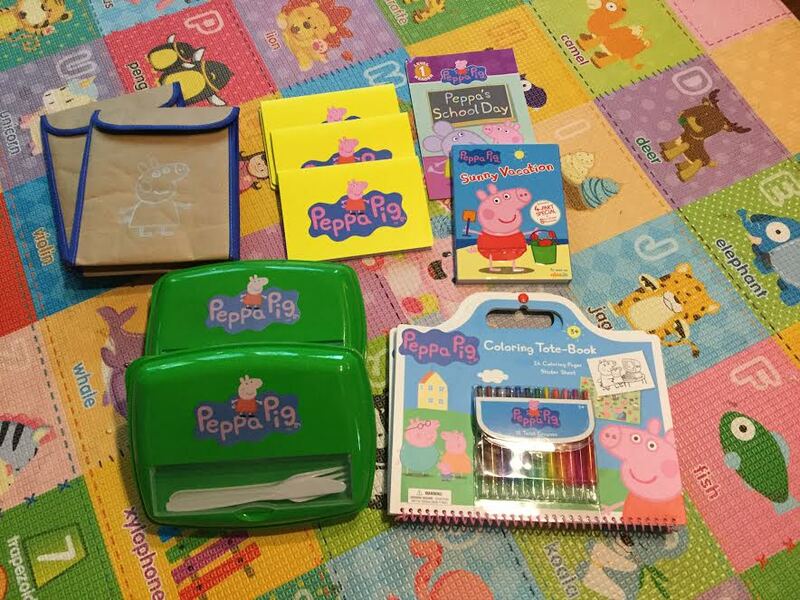 Celebrate the summer along with Peppa, George, Mummy Pig and Daddy Pig on a sunny vacation abroad. Kids and parents alike will love the four-part sunny special with 8 additional super fun-filled peppasodes!" 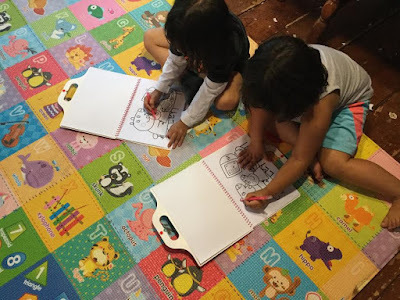 This past Wednesday my girls got together with two of their friends from preschool and had a fun Peppa Pig DVD viewing party. They made their own ice cream sundaes and settled in to watch the new DVD. It was great seeing the girls enjoying each others company, and the DVD, which includes a 4-part special, as well as 8 fun-packed Peppasodes. The best party of their play date was the goodies I had for each of the girls. I had made a fun Peppa Pig inspired lunch that I filled their new green Peppa Pig lunchboxes with. 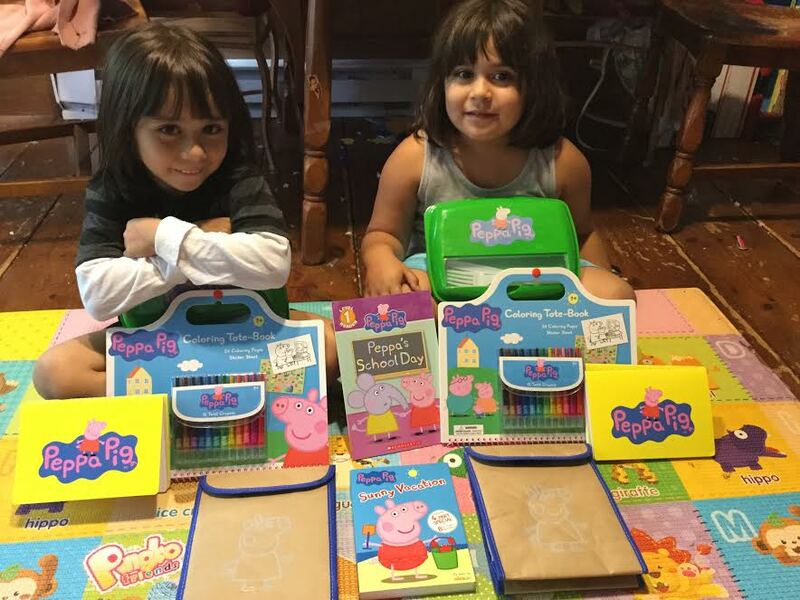 When they were done with their lunches, they had fun coloring in their Peppa Pig coloring tote-books and notebooks, before snuggling up on the couch to listen to me read the Peppa Pig’s School Day book. What a great way to spend one of the last few days of summer with my girls and their good friends. They will definitely remember this day, especially when my girls' friends head to school with their new oinktastic green lunchboxes and Peppa Pig kraft lunch sacks. If you have a Peppa Pig fan in your life who is heading back to school, why not consider picking up the new Peppa Pig: Sunny Vacation DVD and the cute Peppa Pig’s School Day book to share with them. My girls can't stop watching this DVD and having me read the book to them at bedtime. And, I know your kid's will love them too! 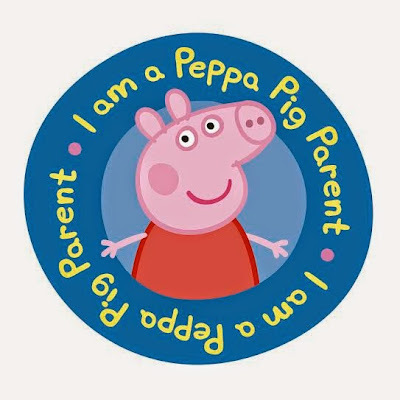 I know some little ones who would love to see this DVD they love Peppa Pig.